Oscar-winning filmmaker Jordan Peele has a warning for viewers about trusting material they encounter online. 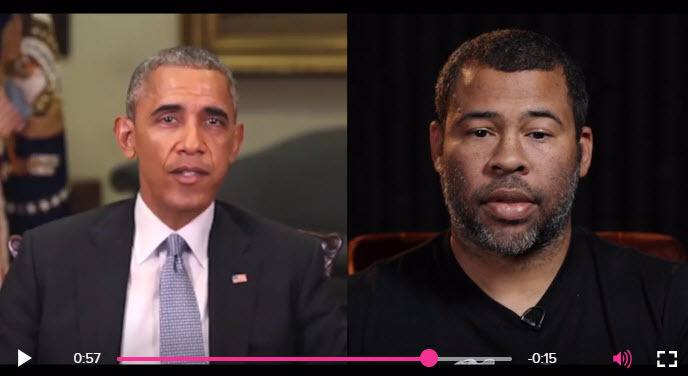 As the video soon reveals, the man speaking is not the former commander-in-chief, but rather Oscar-winning filmmaker Jordan Peele with a warning for viewers about trusting material they encounter online. “This is a dangerous time. Moving forward, we need to be more vigilant with what we trust from the internet,” says Peele as Obama.